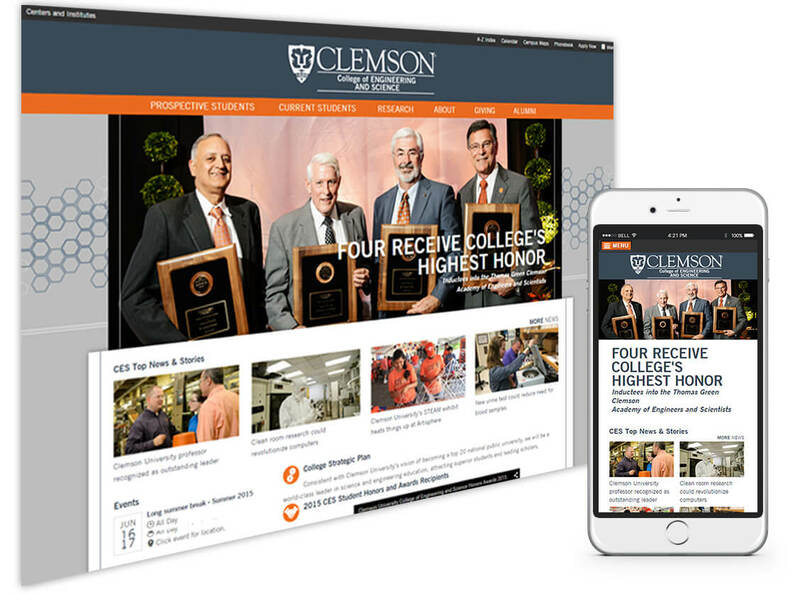 With so many colleges and departments to support, Clemson University was seeking a dependable web design and development partner to support their internal client’s website projects. An unexpected meeting at the 2012 eduWeb Conference brought Beacon and Clemson together, and was the beginning of a strong relationship that ultimately solved Clemson’s support needs. Beacon now proudly serves as an extension of Clemson’s web development group for projects involving website development, responsive design consultation, and content strategy and management – leveraging existing templates whenever possible to standardize functionality, saving Clemson time and costs. With 19 years of Higher Ed web experience, Clemson knew they could count on Beacon to be there when they need us.